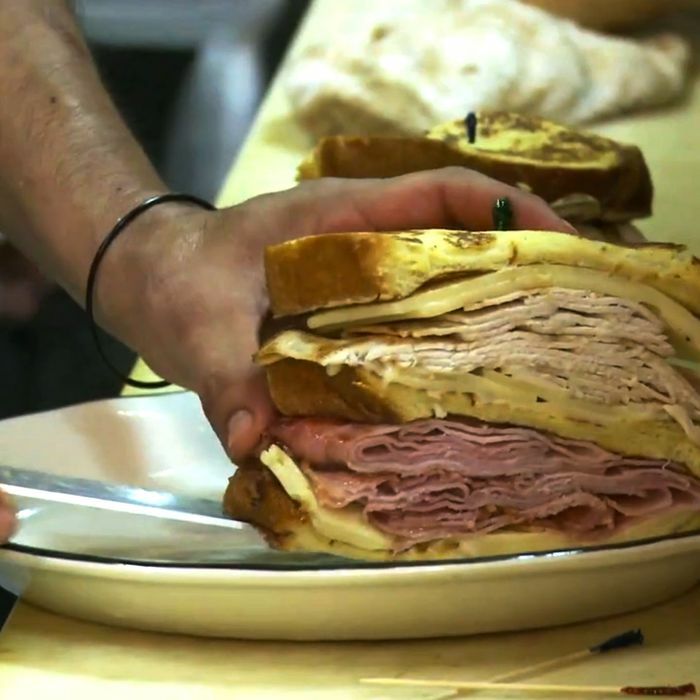 The Jewish delicatessen is going extinct, but what this trailer for a project called Deli Man makes clear is that the concept of the deli itself was a by-product of the forces of immigration and city life, with salami, spiced meat, and pickles appearing like a novelty in late-nineteenth-century New York. We see Larry King laying out his ground rules for corned beef, Fyvush Finkel on hot dogs and beans, and plenty of interviews with the owners and operators of the last remaining Jewish delis in New York, Los Angeles, and, funnily enough, Texas. The greats are here, including Carnegie, the 2nd Avenue Deli, and Stage Deli, which closed last week after 75 years of operation. In the video below, co-owner Steve Auerbach laments the fact that more and more of the Stage Deli’s customers had been asking for hamburgers, leaving the blintzes behind.